DARE (formerly the Blue Mountains Handicapped Children’s Centre 1961-1963, Eloura 1963-2014), was founded by a group of Katoomba parents in 1961. This was in response to their children’s needs were being unmet. As a result, they decided to create the opportunities that were otherwise unavailable. Officially changing the name to DARE Disability Support in 2014, we still maintain the caring ethos in which the parents began, offering quality support throughout the Blue Mountains & Hawkesbury regions. 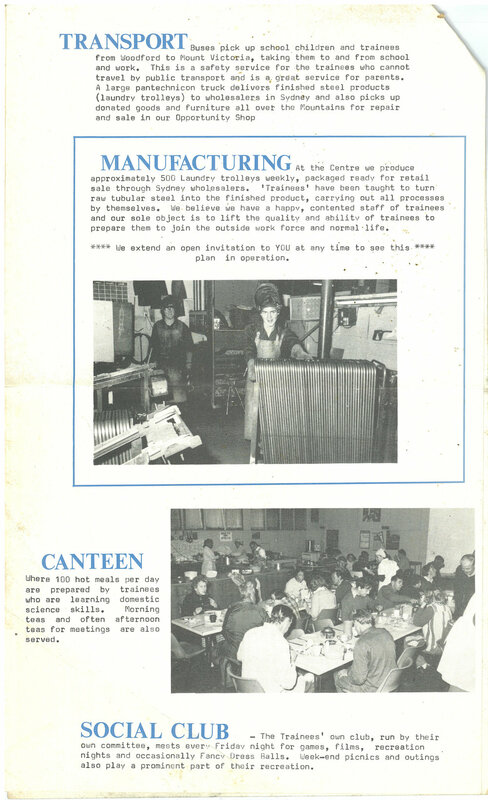 Supported employment was first discussed in 1963, since then, DARE has worked across many different industries with the focus always being on sustainability, support and training. 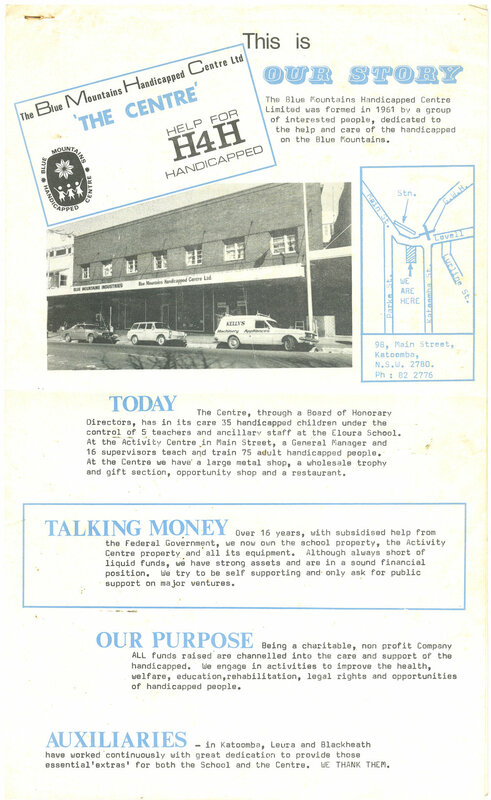 It started with an Op Shop in Katoomba in 1967 and has included from flower farming to silk screening, manufacturing of toy blackboards, fire rescue kits & Christmas trees; just to mention a few. We have run a successful woodwork business since 1988 and established a Grounds & Maintenance crew in 1993 both of which are still running today within our DARE Industries department. First offering hostel style accommodation in Katoomba in 1980 DARE, then known as Eloura, opened its first house offering 24 hour care in 1996. From the beginning the homes were purchased specifically for 3-4 residents & had to not only be practical but responsive to clients needs. The focus has always been on residencies that weren’t just houses but their homes. Since the first house purchased in 1996, DARE has gone on to support over 40 residents in 13 houses all across the Blue Mountains. Since DARE’s inception, there has always been a focus on inclusion in the community, creativity, learning and having some fun. The original ‘Activity Therapy Unit’ opened in 1975. Initially the programs were only available to adults, until 1985 when the centre was made accessible to 12-16 year old’s and offered both day & after school activities. The Centre moved many times due to the overwhelming growth throughout the years. A highlight in the history would have to be the 2018 opening of the Community Activities Centre in Springwood where it’s housed today.